Want a Top Selling agent working for YOU? 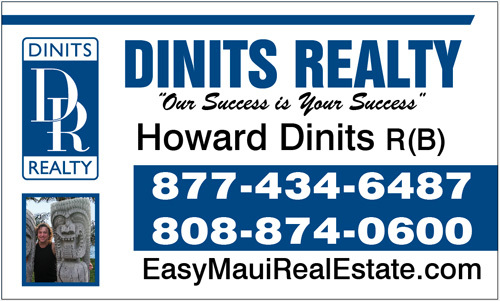 Selling a Home On Maui? 43,560 square feet or more? You can grow fruit trees, have a horse, chickens or other farm animals when you buy a house on an acre or more. As long as there are no Covenants, Codes or restrictions against it, you will be able to have more lush tropical landscaping, large fruit trees like Citrus, mango, Lychee or Rambutan when you live on in residence situated on one acre or more. Use this search to find anywhere in Maui County a gentleman’s ranch, Large Acreage or a country estate with space to relax and enjoy a laid back tropical lifestyle in Hawaii. Find seclusion and privacy in your new home sitting on an acre or more in Maui with natural streams or waterfalls. Some properties will have ocean views, bi-coastal views , installed water meters or even more than one dwelling. Some neighborhoods with parcels one acre or more include: Papohaku Ranchlands or Kawela on Molokai, Maui Ranch Estates, Haiku, Hana, Kula, Waihee, Kanani Wailea, Haiku Mauka, Eddie Tam, Kekaulike, Keokea, Wailuku Country Estates, Pukalani, Mahanalua Nui Phase IV in Launiupoko, and Huelo. Selling a Home With Acreage?